Books and Brews | Castleburg Brewery & Taproom | Happenings | Style Weekly - Richmond, VA local news, arts, and events. 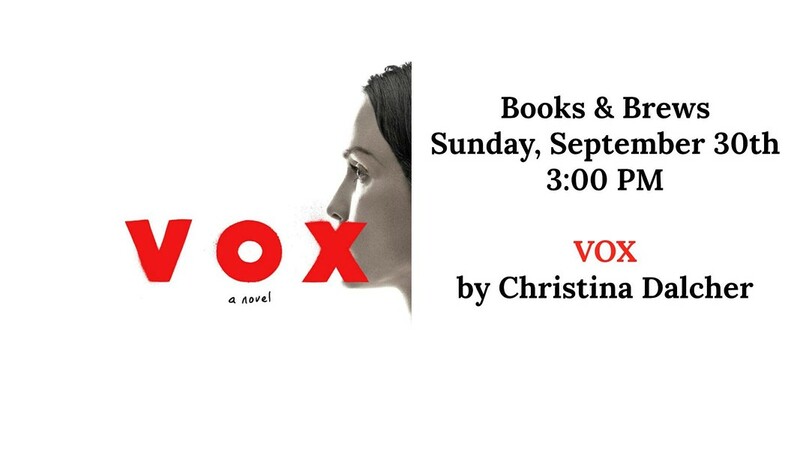 The book for this discussion is "Vox" by Christina Dalcher Join an informal discussion on the book, along with a cold beer. Set in a United States in which half the population has been silenced, "Vox" is the harrowing, unforgettable story of what one woman will do to protect herself and her daughter.